When talking about the "origin story" of The Young Elites, Marie says, "I definitely thought of The Young Elites first." After seeing the name online, it stuck with her. "And after I thought about it for a while, I was like, 'Gosh, it would really fit this world and the people that are living in this world,' because they're--they are extraordinary, but they're very, very young. And that bleeds very much into who they are in terms of their powers and how they're treated by their families." About the setting, Marie admitted, "It was a completely different experience from writing Legend." A lot of research went into building the world. "For The Young Elites, I did a lot of reading about Renaissance Italy and Renaissance Venice and what life was like back then, and what people ate and how they dressed. And a lot of those things went into the story." Despite the differences in researching and timelines, the two books are similar in feel. Marie says, "It was definitely a different experience because Legend was sort of looking forward and this is kind of looking back in time. And it was interesting playing with that, because oddly enough they kind of end up at the same place where it's still a dystopia in some ways." But as for the basics of writing the setting, Marie did have to switch up her writing style: "I kept trying to avoid using a lot of modernisms that kept creeeping their way into the story. And the first time that I turned in my manuscript, my editor was like, 'I feel we could tone down on the modern tone of your stuff. It's kind of futuristic for an old-timey sort of story.' So, that was an adjustment as well." 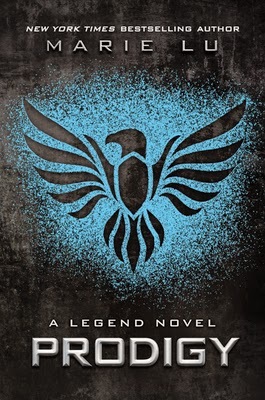 One of the most fascinating aspects of this novel is that The Young Elites is essentially a villain's origin story, with the protagonist as the antagonist. On setting Adelina up to the be the villainess of the series, I asked Marie about how she approached writing the scenes from Adelina's perspective. She said, "It was really, really hard to get into that mind space, and it's still very hard for me. I'm working on book two right now." She went on to say, "I thought of writing from the antagonist's point of view after I was talking to my agent about this book. So, when I first started writing The Young Elites, it was right after Prodigy came out. And I wanted to write a fantasy book, but at the time it actually starred Raffaele instead of Adelina, and Raffaele was a totally different character too. He was very, very bland, just sort of like your every-boy, and he was going to university and he thought he was a Young Elite. And it was totally different from Legend, because Day and June, they live in a really dark world, but they're inherently good people at heart. They have good families who treated them right, and I feel like that really made them who they are as people when they grew up. And Adelina is totally different. Her family is twisted and terrible, and that rubbed off on her a lot. And it was kind of disturbing to have to get into that headspace, because I didn't experience any of that. And to be able to try to figure out a way to make this person do horrible things but also not make her totally unlikeable so that you're like, 'God, I just want this character to die already' was a bit of a challenge too." Marie calls it a "very, very odd" experience that requires some distance at the end of a writing day, but about writing Adelina, Marie says it was "also kind of fun and liberating, I guess, to write about somebody who just--she just doesn't care sometimes. She just doesn't care that she's really angry at the world and she feels very entitled to that." She went on to say that, "I feel there's something kind of empowering about letting yourself be bad. I guess it's why we want villains so much. I mean, I love, you know, Loki and Magneto. You can kind of feel for them in a way. Like Loki, he kills lots of people, but he loves his mama and, you know, he's had some feuds with his brother. And I think it's fun to kind of imagine that space, because I think we all have issues in our lives. And it's fascinating and kind of an unsettling way to write some of that stuff, because she feels powerful when she thinks that and does those things, but then afterwards she never feels great about it. So, it's kind of like don't always act out your demons--your inner demons kind of thing." But it wasn't all darkness and villains for this interview. When asked what Young Elite power she would like to possess, Marie said, "I would really, really love the ability to stop time. So, the entire world will stop, but you can still keep going and do some, like, work on stuff. I'm such a dork. I just want to work more. I mean, this would be amazing for meeting all my deadlines. I could just pause time for 500 years and get it all done, and then you'd just click on again and time keeps going." I'm sure her readers wouldn't mind terribly if she had that kind of power--think of how many books Marie could write in the space of 500 years. "That would be kind of cool," Marie admitted, "but I think that would mess up the space-time continuum." 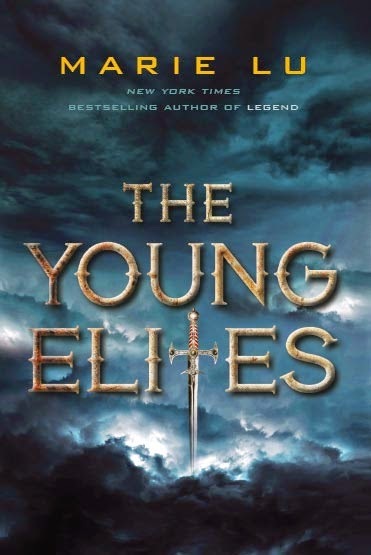 The Young Elites will be out on October 7th, so mark your calendar! Check out her website for more information, and definitely give her Pinterest page a look! And read an excerpt here. Thanks for this fascinating review! It's great to hear about Marie Lu's new book from her own perspective, though I have to admit I am always wary of books with main characters who are not good people. They are very hard for me to read, so I'm going to have to think hard about this book!